Gov. Rick Perry announced Wednesday that he would require all state agencies to use E-Verify, a federal electronic employee verification system that aims to prevent the hiring of illegal workers. Nearly two weeks after President Obama announced an executive order on immigration, Gov. Rick Perry announced an order of his own. At a news conference Wednesday, Perry said he would be requiring all state agencies to use E-Verify, a federal electronic employee verification system that aims to prevent the hiring of illegal workers. Perry said anyone contracting with state agencies would have to use E-Verify as well. The executive order takes effect immediately. “The E-Verify system has been improved, it’s been streamlined and it currently is the most accurate and efficient way to check a person’s legal work in the United States,” Perry said. “Though any steps taken at the state level must be backed up by a real federal commitment to fixing a broken system." Wednesday’s announcement marks a turn for the governor. In 2010, Perry said that E-Verify would not "make a hill’s beans of difference” when it comes to what's happening in America. On Wednesday, Perry said the system has changed for the better. Perry also discussed the state’s border surge operation. Earlier in the week, officials approved another $86 million to keep the operation in effect. The money will keep Texas Department of Public Safety officers at the border through August and the National Guard troops there until March. The surge began in June after reports of increased undocumented immigrants crossing into Texas from Central America. 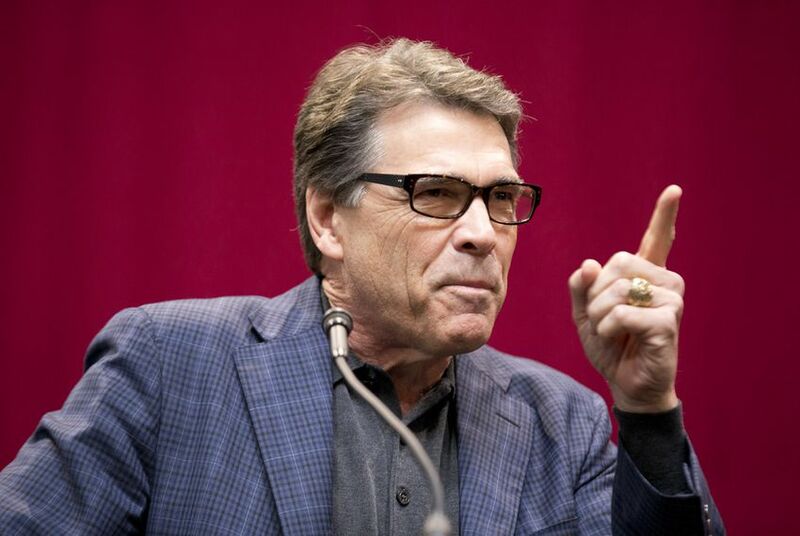 Perry said the money would give the Texas Legislature and Gov.-elect Greg Abbott time to decide what to do next. “This law enforcement presence is all the more necessary as the federal government continues to ignore the very real issue of border security,” Perry said. Perry also criticized Obama’s recent executive order, which would protect 5 million undocumented immigrants from deportation. “If [Obama’s] first policy opened up the floodgates, there’s no telling how much damage is going to be done now by this executive action,” Perry said. Later Wednesday, Abbott is hosting a news conference on Obama’s executive order.